Q. What are the check-in/check-out times? Check-in is from 3pm to 6pm and check-out by 10.30am. If you require a later check-in time, please let us know and we will do our best to accommodate your request. Q. Do I need to bring bedding? We do not supply towels so please bring your own towels, including dish towels. Q. 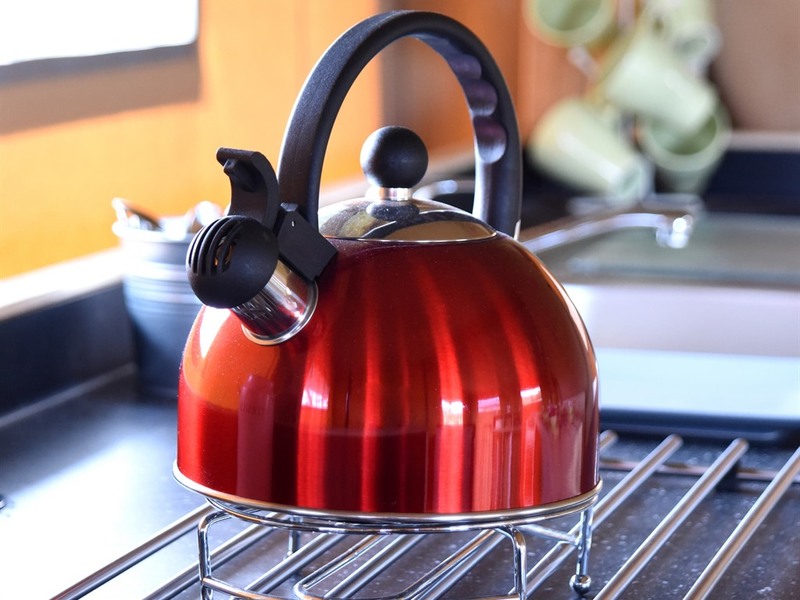 What kitchen facilities do you have? 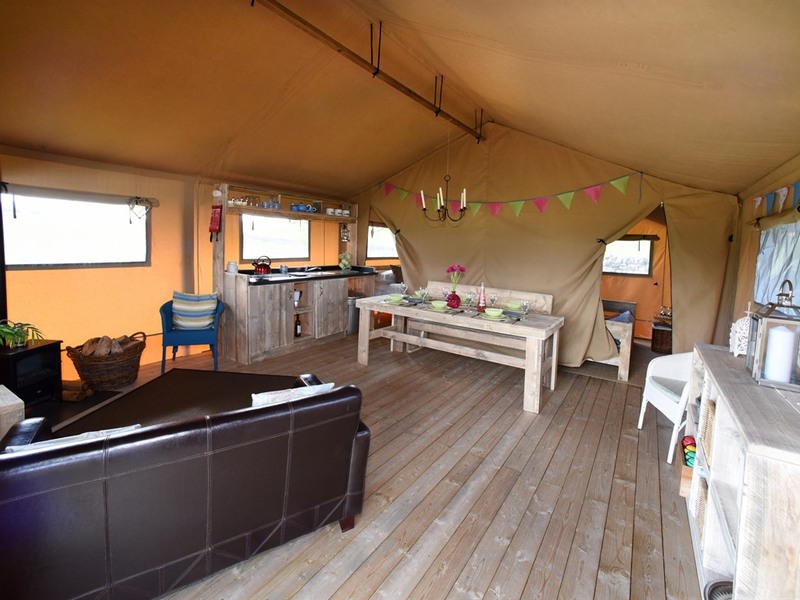 Each tent has its own internal kitchen area including 4 burner gas hob, sink with hot and cold water, cupboards and storage space. We provide crockery, cutlery, glasses, kettle, pots/pans, utensils, washing up liquid, cleaning supplies and plastic plates/bowls/cutlery/tumblers for children. Q. Can we cook inside the tent? Q. Is there a fridge/freezer to store our food? We have a large American style fridge/freezer located within our reception building. You are free to use this to store food during your stay. Each tent is also equipped with a cool box to store frequently used items in the tent. Ice packs for the cool boxes are available free of charge from reception, please just remember to return used ice packs to the freezer for re-freezing. Q. Do we share toilet and washroom facilities? Definitely not! 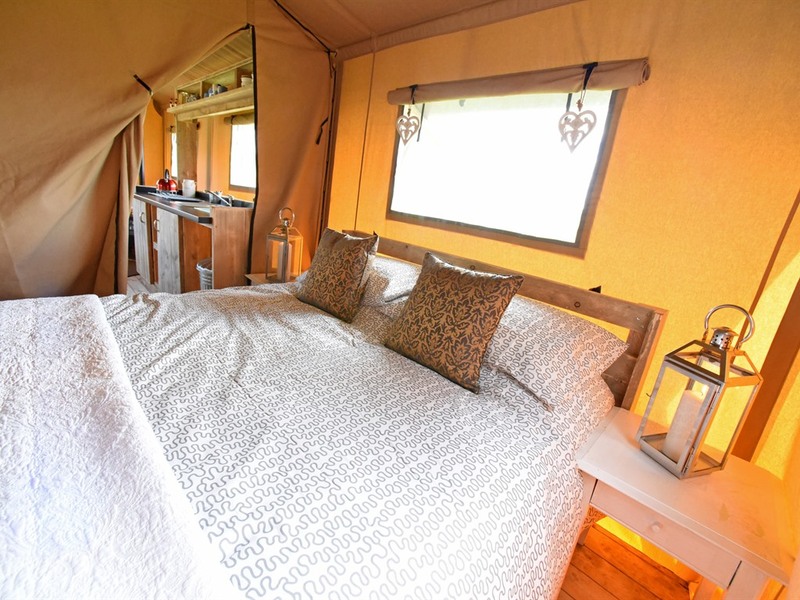 Each tent has its own private shower room located immediately to the rear of the tent. There is zipped access from both bedrooms to allow easy access to the toilet during the night. Each shower room has a huge shower area with mixer shower and glass screen, wash hand basin, mirror and flushing toilet. There is hot water and we also provide a child's toilet seat and mini stool. There is full lighting in our toilets with an automatic sensor to switch on when you enter and off when you leave - you do not need to take a torch to the loo! For what to bring and what is provided, please have a look at our 'What to bring' page in the dropdown menu. Q. Can you lock the tent? There are two dedicated car parking spaces for each tent. We do not allow vehicles to park beside the tents for safety reasons however there is an short woodchip path leading from the car park to each tent. Q. Is there a campfire? We do not allow campfires for safety reasons. Each tent is equipped with a chiminea so you can enjoy the outdoors whilst watching our beautiful sunsets. The chiminea should always be placed on the paving slab provided to protect our grass and should never be placed on the decking or woodchipped areas whilst in use. We recommend bringing your own outdoor folding chairs for sitting out as we request that our outdoor seating is not removed from the veranda. There is a large picnic bench provided near the BBQ area for each tent. Q. Where is the nearest shop? Plean, our local village (1.5 miles) has three convenience stores, a bakery, pharmacy and two takeaway food shops. For a greater selection of groceries, there is a Co-op and Sainsbury's store in Denny, around 2 miles from Carr's Hill. Q. Is there wifi connection? Q. If there is no electricity in your tents, is there somewhere I can charge my mobile phone? Yes, we have mains sockets within our Reception for charging mobile phones and other electronic devices. Enjoyment for all of our guests is our priority. We ONLY allow dogs by prior arrangement and we limit the number to a maximum of one per tent. Our tents are not fully ‘dog proof’ and all dogs must be on leads at all times whilst on site. Dogs are not allowed within the bedrooms and must either sleep within a dog cage (which you must provide) in the tent or in your car. Dogs cannot be left on site alone at any time. In the interests of ensuring other guests enjoy their stay, owners of loose, barking or antisocial dogs may be asked to leave and no refund will be given. Q. Do you take group bookings? We do accept small group bookings but we are unable to accept hen or stag party bookings. 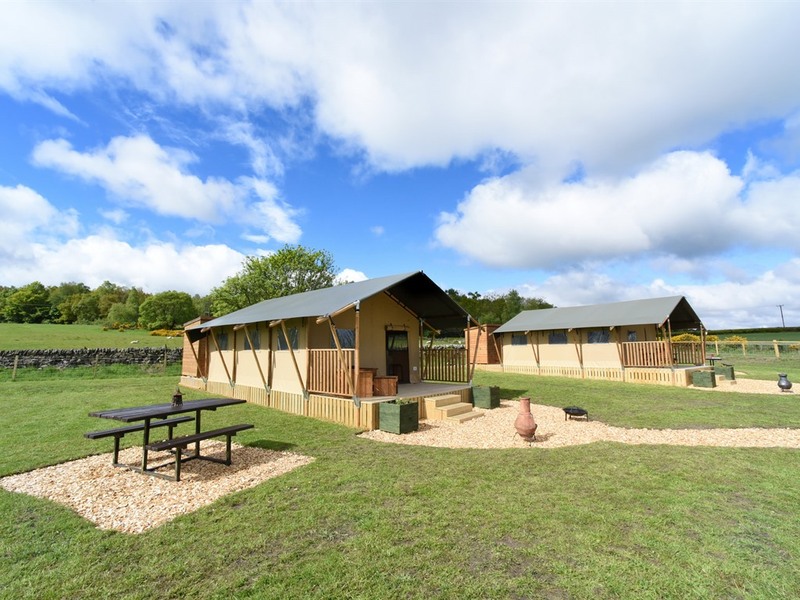 We are above all a family site and are only able to accommodate small groups who want to enjoy our facilities and peaceful rural location. If your group fits in with these values, we ask you to agree to our terms by signing and returning our Small Group Booking Form.